Planning for your teenager's Birthday party can be a tricky experience. 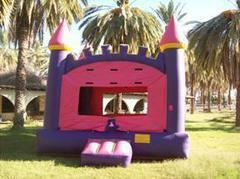 If you're looking for a Bounce House that doesn't have a childish theme, we have several that are plain and unmarked. We also have many with a Basketball Hoop that teenagers really like. A supersized Bounce House can hold more kids. 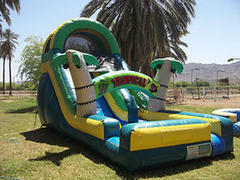 This generation has grown up with Bounces and Water Slides as a childhood staple. 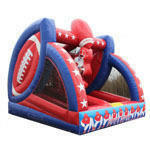 If you're looking for a Bounce House that doesn't have a childish theme, we have several that are plain and unmarked. We have many with a Basketball Hoop that teenagers really like. A supersized Bounce House can hold more kids at a time or accommodate larger ones than a standard bounce..
Summers in Arizona are legendary. So when you are dealing with major league heat why rely on the minor leaguer's? 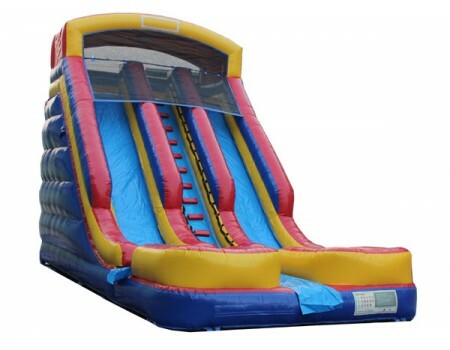 We can help you make your event the coolest in the Valley with water slides, water tunnels, slip n slides, dunk tanks and water games to entertain your teens. 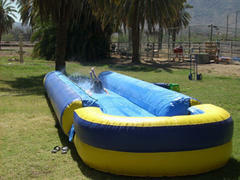 A Water Tunnel is a giant inflatable version of the original Slip n Slide. Water rains down from the arches to keep the cushioned surface wet and slick for tremendous fun. The participants get a running start and dive, slide or bounce onto the sliding surface. Its a simple matter of physics; the quicker you are and the bigger you are the faster and farther you will slide down its length. And that's why the big kids (and adults) love it so much!! 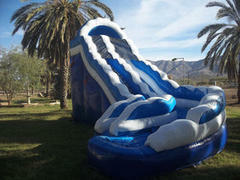 Our brand new 22' tall two-lane Water Slide will impress everyone at your party or event. 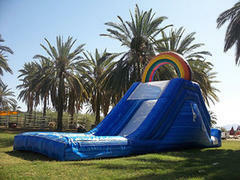 It's massive size will attract attention and excite your guests. The center climb stairs make it safe for little ones and the dual lanes double the throughput.  The height and sliding angle guarantee a fast and thrilling ride for the youngest ones, teens and adults. Finally an affordable giant slide that you can enjoy with your kids. Reserve yours today. 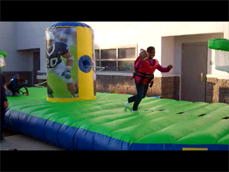 You'll want to take a look at our Inflatable Games page to checkout some really cool ideas for teens. One that never fails to be a hit is the Wrecking Ball. Four players stand on inflated pedestals and attempt to knock each other off with the swinging wrecking ball. We have Sports Games like Baseball, Football, Basketball, Soccer, Hockey and Golf. 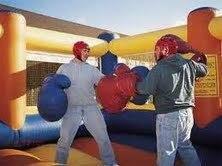 We've got a complete Bouncy Boxing Ring or rent the oversized boxing gloves separate. 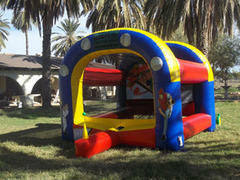 There's Gladiator Joust, Slam Dunk, Knock your Block Off and Bungee Challenges. 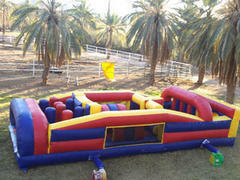 We have a great Obstacle Course that will fit in many backyards. 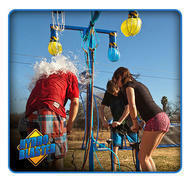 We offer a wet version during the summer months that the teens go crazy for. 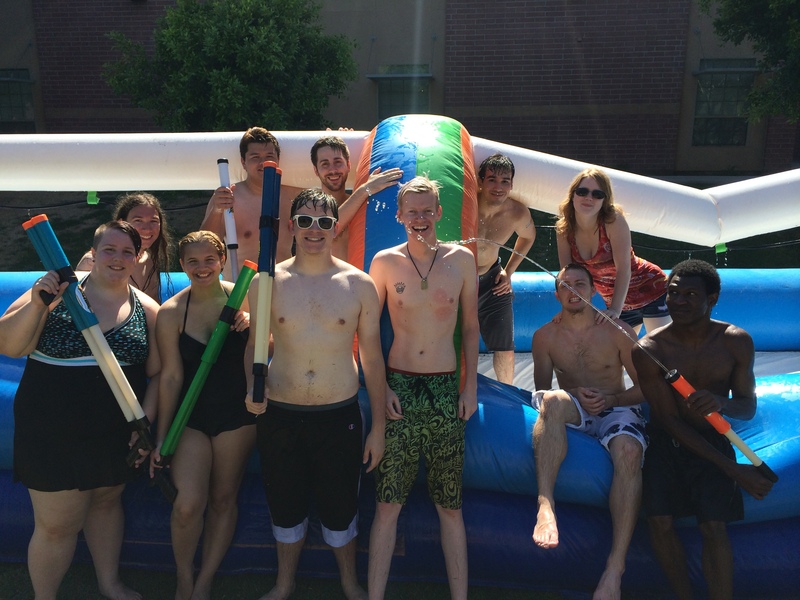 Don't forget about a Dunk Tank, Slip n Slide or Water Slides when it's hot out. 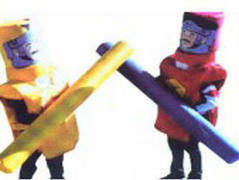 We've even got a Giant Inflatable Twister Game! On our Carnival Ride Page you will find some very hot rides for teenage parties. Take a look at the Gyro (always popular with teenagers) the 24' Rock Climbing Wall and the Mechanical Bull, sure to be a hit. If your teens like Movies or Video Games, how about a Giant Inflatable Movie Screen? Perfect for sleepovers. Watch your latest DVD's or hook up the Playstation or XBox and actually feel like you are inside the game. Planning a party for a teenager doesn't have to be a difficult challenge. We are here to help, just give us a call. We'd love to share what we've learned from our 27 years of party planning experience and a few things we learned from our own teens along the way. "The Easiest Party You'll Ever Have"
Event date fast approaching? Last minute bookings are no problem, call Laurie at 602-820-8030 and we'll save your party! 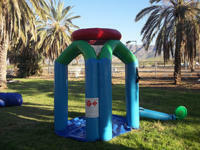 You can also take a look at our Inflatable Games page to checkout some really cool ideas for teens. One that never fails to be a hit is the Wrecking Ball. Four players stand on inflated pedestals and attempt to knock each other off with the swinging wrecking ball. We have Baseball, Football, and Basketball Games. 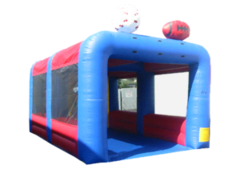 We've got Bouncy Boxing or rent the oversized boxing gloves separate, Gladiator Joust, Knock your Block Off and Bungee Challenges. 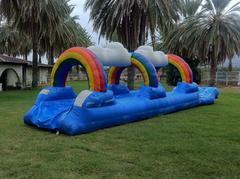 We've even got a Giant Inflatable Twister Game! On our Carnival Ride Page you will find some very hot rides for teenage parties. Take a look at the Gyro (always popular with teenagers) the 24' Rock Climbing Wall and the Mechanical Bull., sure to be a hit. If your teens like Movies or Video Games, how about a Giant Inflatable Movie Screen? Perfct for sleepovers. Watch your latest DVD's or hook up the Playstation or XBox and actually feel like you are inside the game.